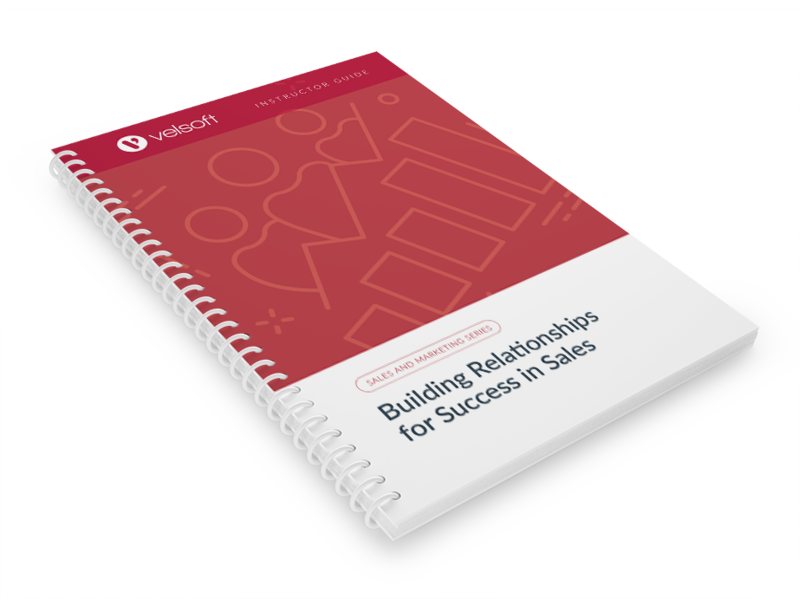 If your trainees are in the business of sales, then they are in the business of building relationships. In this course, participants will discover that the business of all sales professionals is making friends and building relationships, no matter the size of the company or the type of market. How building relationships can help you develop a solid business base. How to apply communication techniques to build a contact network. The key elements of strong working relationship, how to employ these elements in their working relationships, and more. 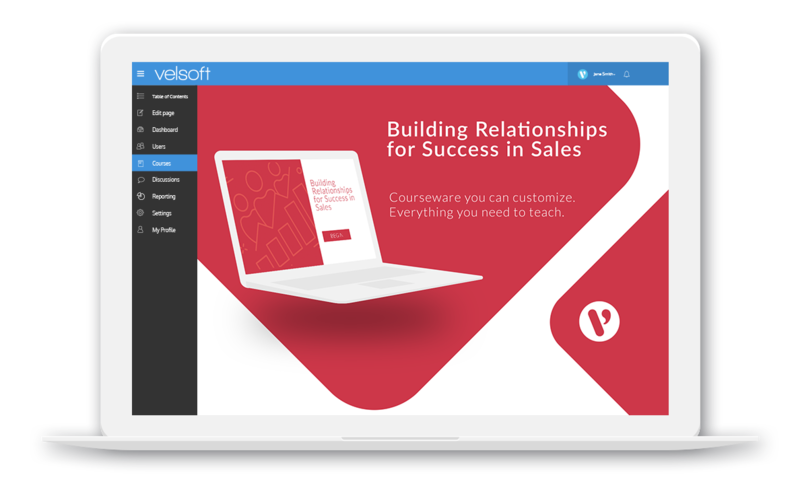 Velsoft’s Building Relationships for Success in Sales courseware is easily customizable, or ready to deliver as is. Your single purchase provides you the ability to brand the training materials, make changes to suit the needs of your students, and to print on demand with no limits or hidden costs. Each courseware package comes complete with an instructor guide, student manual, PowerPoint slides, quick reference guide, and much more. Order our courseware today, and you’re ready to deliver training tomorrow! 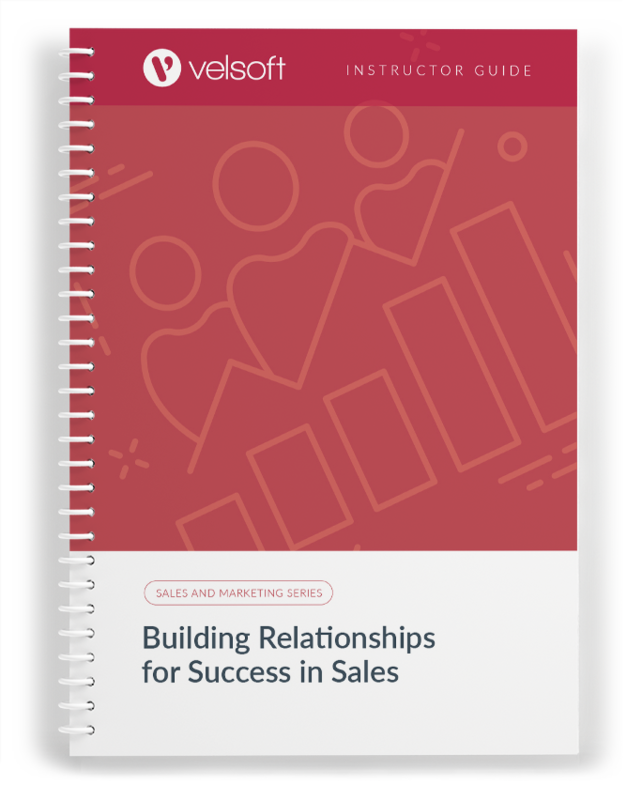 Building Relationships for Success in Sales is one-day course that provides your students with a comprehensive overview of the knowledge and skills need to ensure the viability of businesses in today's world. The course material applies equally to product and service-based enterprises.